^^Readers will come away not only with a model for prayer, but with a revolutionary way to pray effectively while drawing closer to the Father. 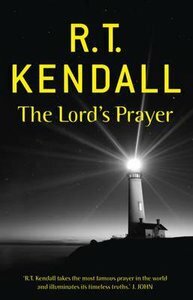 Bringing his insightful and down-to-earth approach to bear on the topic of The Lord's Prayer, R.T. Kendall opens up new depths in this short prayer, exploring the full range of meaning in each line to establish firm principles for all our prayer. Starting from the initial focus on God, through asking for what God wants in our world, then on to our needs, and so finally on to the benediction with which the prayer closes, he unpacks the meaning of each line, brings personal challenges to bear on our own lives, and gives us the reassurance of God's love and care for us.